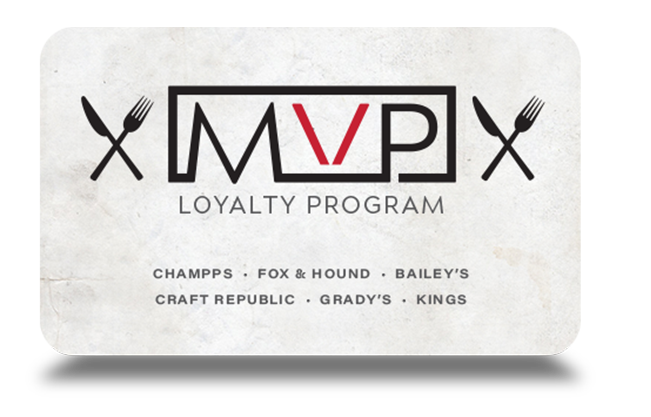 Make the most out of your Kings experience by joining our MVP rewards program! Every 300 points = $20 reward! Plus, your reward dollars can be earned and redeemed at any of our sister brands across the US. SIGN UP HERE to receive $10 off $30 for your next visit!